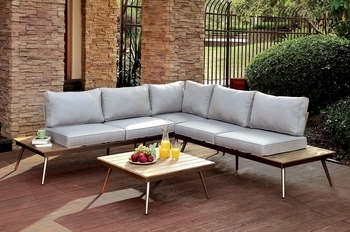 Sunday BBQ’s and pool parties just got so much better! 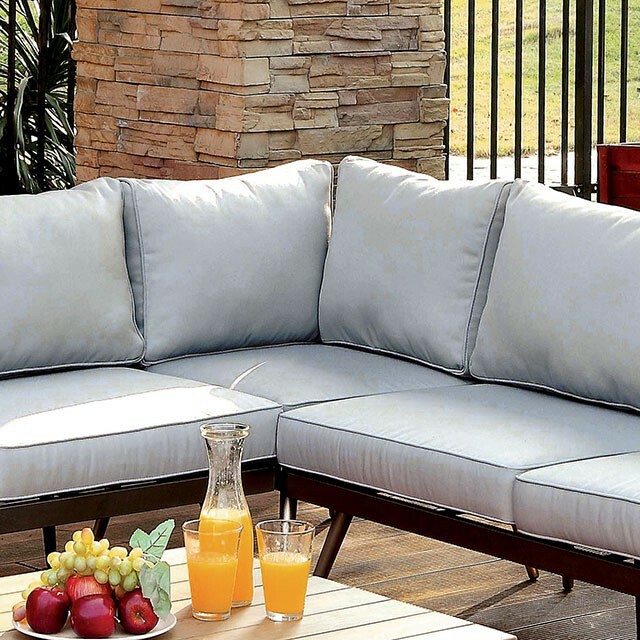 This versatile patio set doubles as an L-shaped sectional or a two-piece sofa set. 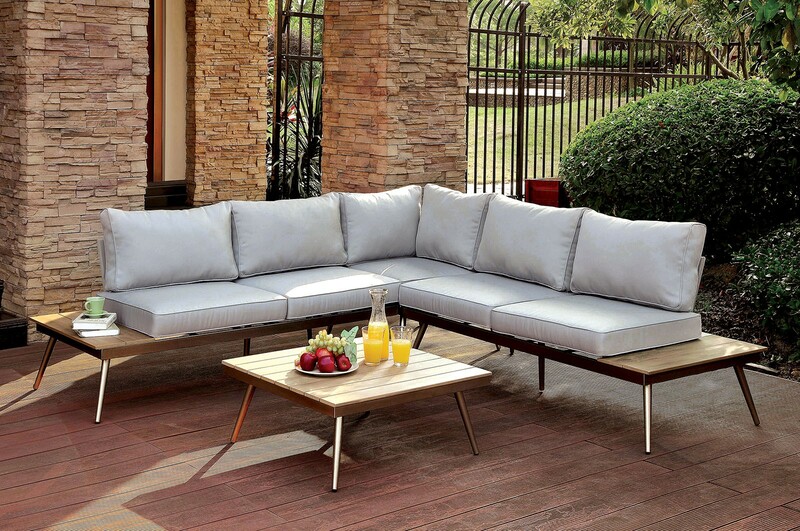 Mid-century modern designs can be seen in the angled legs and plank style surfaces, while neutral gray colorings provide a subtle invitation to relax on the foam filled cushions.